Utmost care is given to every product passing through our multiple assembly lines globally. 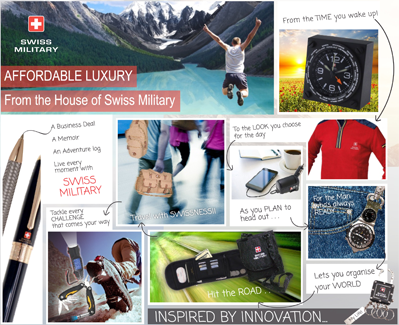 Each product goes through an extensive quality system governed by swiss quality mandates which forms the basis of us ensuring that consumers are happy with every product. Our global team of quality experts supervise every process during the product life cycle to ensure every product meets global quality standards expected of our range. Extensive research and study is undertaken to understand the regional & geo-political advantages a certain region has over others while manufacturing a certain product. Parts are imported from various corners of the world and assembled in specialist factories conforming to our standards. Every vendor factory is handpicked after a careful audit by our team that studies and reviews every aspect of manufacturing, systems and conformance to ensure that our ideology is perfectly matched with the vendor in question. Extensive training and information imparting from our experts to every level of the vendor organization ensures a perfect harmony with all our vendors globally.